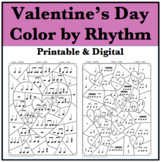 Music Activity - Valentine's Day Color by Rhythm - Now with 3 Designs! 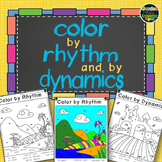 Also included in: Color by Rhythm Mega Bundle! This product comes with two pdf worksheets perfect for Veterans Day. 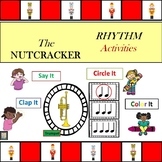 The worksheets include color by rhythm for quarter notes and eighth notes only. 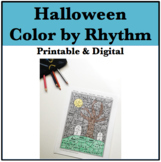 The file includes two worksheets- one with a picture of the rhythms to help identify and the other with the rhythm word to challenge students a bit. 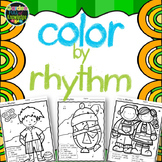 Winter Snowflake Color By Rhythm Bundle! 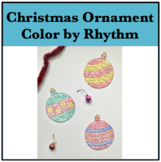 Christmas Ornament Color by Rhythm - 5 Ornament Designs! Winter Snowflake Color By Rhythm! 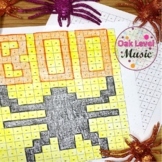 Quarter Note, Rest, and Eighth Note Pair! I use this worksheet after I introduce quarter notes, eighth notes and quarter rests. It is a great way to assess their understanding of these concepts. Winter Snowflake Color By Rhythm! 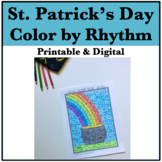 New Year's Color by Rhythm - 3 New Puzzles! A great review sheet for all types of rhythms from eighth notes to whole notes! Included are two versions - one with symbols to help with matching and one with words to help with identifying by name. My students LOVE using these to review!